New to the 2016 edition of NFPA 20 is the concept of a multi-stage, multiport pump. 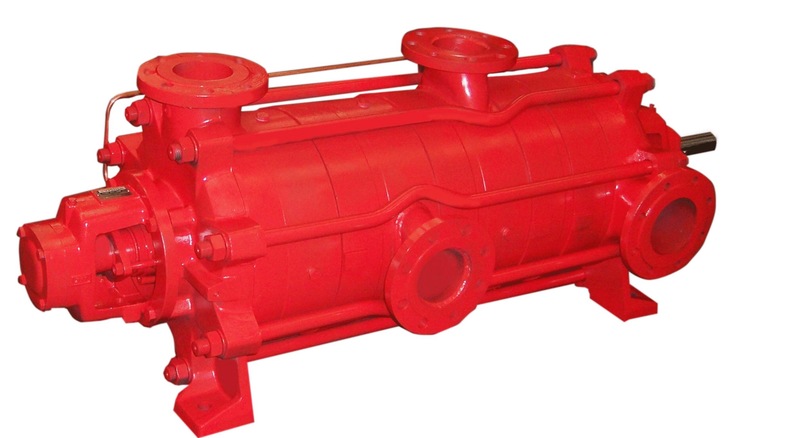 This type of pump is not often seen in the United States, and is basically a pump with more than one discharge flange. Since Factory Mutual no longer permits using fire pumps in series, there is a renewed interest in the concept of a pump which can serve more than one zone in high rise buildings, and do so without using more than one pump, motor, or engine. There are several other gems located in Chapter 4 of NFPA 20. Designers and installers of fire pumps should focus first on this chapter, as it presents some requirements that are often missed or overlooked. The requirements of proper piping on both suction and discharge (see 4.15.6.3), the proper rating of discharge piping (see 4.7.7.1, 4.16.3), the limits of when you can or cannot use a main relief valve ( 4.7.7.2, and 4.19.1.2) or pressure reducing valve (4.16.11). Steven pointed out that many of the design challenges facing people in the industry cannot be fully addressed without a good command of fire pump curve fundamentals, which were also covered in detail. The concept of “Fuel Supply Maintenance” systems are introduced, and if used, a list of visible indication is required to indicate when fuel cleaning is needed (see 11.6.4.4). While many jurisdictions follow earlier editions of NFPA 20, we will continue to keep a close watch on the requirements of the most current editions of NFPA 20 to stay ahead of the requirements, and to keep our customers informed. We certainly appreciate being invited to speak to AFSA, and will look forward to future presentations soon.